Annually, one out of every three adults age 65 or older suffer a fall. More than half will need help getting up. 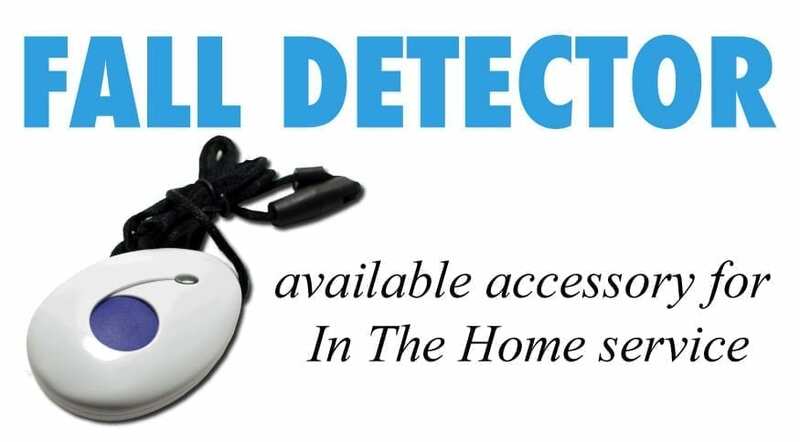 Consider ResponseNow In The Home with the added fall detection pendant to make sure help is always on the way. The fall detection pendant can summon help in one of two ways. Just like a traditional pendant, you can press the fall detector’s button at any time and it will immediately send in an alarm to our operators. Hit your button at anytime, day or night, to receive help. Second, the pendant is designed to be constantly measuring your movement as you wear the device. It is looking for large changes in movement that typically accompany an uncontrolled fall. When a sudden, extreme movement occurs the detector registers that motion as a fall and will go into alarm. After 50 seconds of the pendant laying motionless, the alarm signal will be sent into the base unit and contact an emergency operator. We found that giving the wearer a 50-second window minimizes the number of false alarms our customers incur. If you are able to move before the window has been reached, press the pendant’s button for immediate operator assistance. As soon as the 50-second window is eclipsed a series of beeps will sound from the unit. 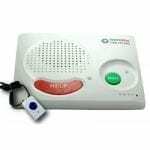 After between 10-30 seconds the beeps will become less frequent, which means the emergency call has been placed successfully. An operator will come on over the two-way voice communicator shortly. Weighing only a few ounces and measuring slightly more than 2 inches long and an inch wide, this is one of the smallest and most lightweight fall detection pendants on the market today and features an estimated battery life of more than two years. To ensure maximum fall detection capability wear the pendant on the outside of any clothing. Falls are serious business. Taking the time to protect yourself can save your life. Consider the following tips. • Keep it moving! Lack of movement will weaken core muscles. Walk, stretch or use light weights to keep strength and balance. • Be mindful of medications. Incorrect dosages or combinations of certain medications can lead to dizziness or sudden drowsiness. • Remove any potential hazards from common walking areas such as stairs and hallways. Items could include books, clothes, boxes, papers, and throw rugs. • If you do use throw rugs, prevent slipping by applying double-sided tape to the underside. • Use non-slip mats in the bathtub and shower. • Keep your vision sharp by wearing corrective lenses and scheduling regular eye exams. • Make it bright! Improve lighting to help you see potential tripping risks. • Wear sensible shoes both inside and outside your home to maintain traction at all times. • Use assistive devices such as handrails and grab bars.